Whether you’re at home, at work or even on holiday, with the Wiser Heating control app you’re just a few smartphone taps away from ensure your home is at the ideal temperature for those at home or those on their way home. Boost – Easily boost the temperature of your household for just a selected time. Away Mode – Away for a while? Enable Away Mode to make sure you’re not paying for heating you’re not using. Eco Mode – By learning about the home's unique characteristics, Wiser learns the most efficient time to turn the heating off. Heat Report – see clearly the temperatures recorded in each zone over time, to identofy where energy can be saved. Schedule Changes – If your plans change, simply adjust your heating schedule wherever you are. Multi-zone Control – Set different temperatures and schedules suitable for each room in your household. IFTTT – Connecting with IFTTT allows you to link the Wiser app to other smart apps to give even greater control of your heating. Open Window Detection – Enable this feature and Wiser will turn that zone's heating off if it detects a draught, preventing wastage. 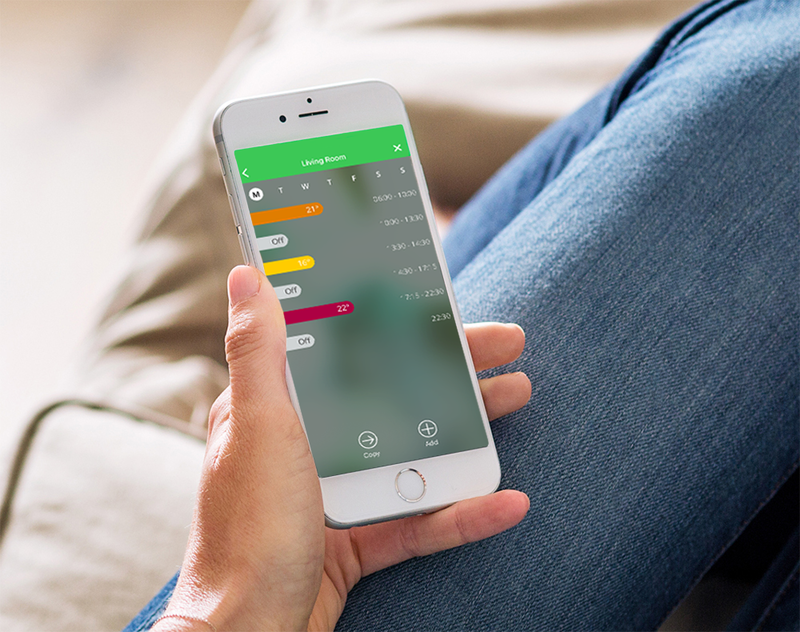 Have total control over your heating usage at any time wherever you are, when connected to the internet on your smartphone. More control means more energy saved and, most importantly, more money saved. Additionally, Wiser is compatible with Amazon Alexa and the Google Assistant for voice control of your heating. Comfortable controlling your heating whilst saving money really couldn’t be any easier. Learn more about the Wiser heating control app here.